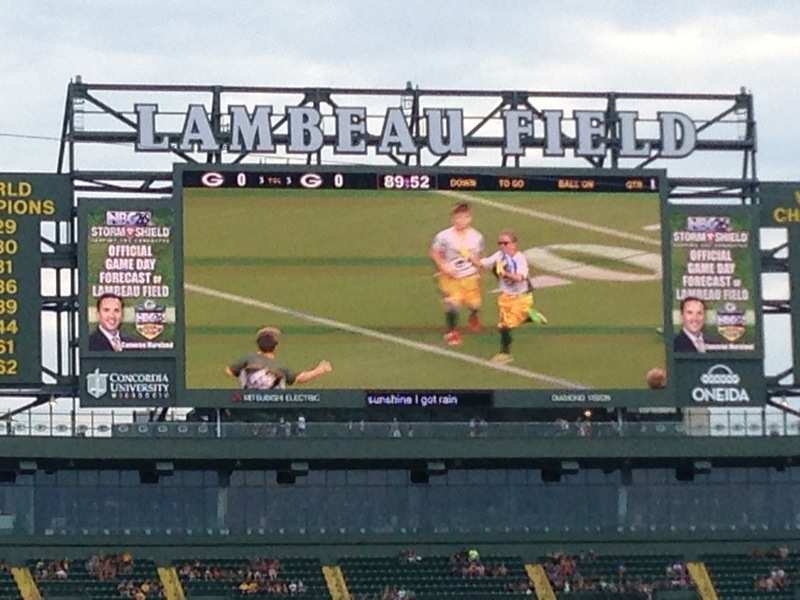 Fan appreciation day was "made" incredibly exciting, not because of seeing the Packers practice or the fireworks culmination, but because of seeing some lucky Cardinal kids and parents down on the sacred TUNDRA playing football. What a special experience and for those in attendance it was a very proud and exciting 20 minutes. Ask yourself how many people do you know that have done the Lambeau Leap? Well, we have a number of them in our Eleva-Strum School District! Yes, if one of the kids scored a touchdown, they had the opportunity to make the jump! Wow, what a memory! Great job to those involved.